Pinterest, the popular content discovery service that allows people to ‘Pin’ interesting contents, just pushed out a new update to its official iOS app bringing it to version 3.8. The update brings one new major feature that you don’t want to miss out, messaging. Yes, you read it right. Pinterest now allows users to send Pins and messages to several users. You can also reply back to whoever sent you a Pin. This enables users to plan for projects or other stuffs with an entire group and share new discoveries. Last year, Pinterest released its ‘Send a Pin’ feature which allowed users to share interesting Pins with other users. Although it became quite a popular feature, it wasn’t useful because once a user received a Pin, they could not respond back. Personally, I would respond back to email notifications to keep on the conversation going. This is quite a nice feature introduced by Pinterest and fosters communication between groups of users, easing the planning of a project or an event. 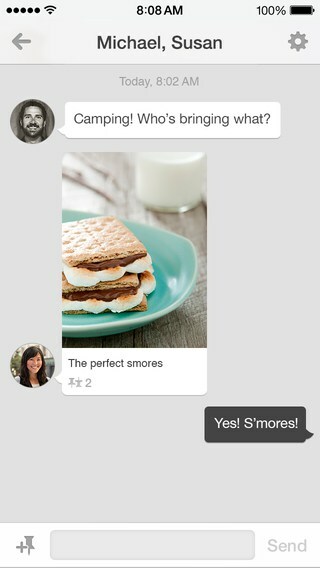 You can download the latest update for Pinterest’s official app from the iOS App Store.